The latest jailbreak for iOS 11 firmware in unc0ver from which iOS 11.0 to iOS 11.4 beta 3 firmware can be successfully jailbroken. The tool follows the same semi-untethered jailbreak with used Cydia impactor tool with the right IPA. And thanks to Pwn20wnd developer, the tool is available in an updated version by now directing the user through better experience. The post here will guide you through Unc0ver Jailbreak iOS 11 to make you get with latest Cydia approaches. 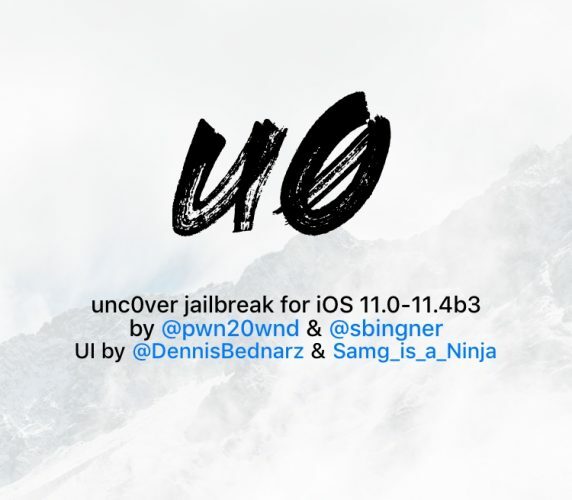 Unc0ver is a semi-untethered jailbreak just like what you already have as Electra Jailbreak for iOS 11. This means you will have to resign the jailbreak app every time after a reboot. And you are also bound to jailbreak expiry with the added certificate. And all aside, you can now have better Cydia support through the Saurik-updated version. So from unc0ver, you will be able to get the complete jailbreak experience for free. Before you start with the processing, we recommend you to have a complete backup of all the data. And then, turn in the latest Cydia impactor Tool Download and also the latest IPA. To the date, Uncover jailbreak is found in the latest v1.1.4 update from which the issue with finding offsets has been fixed successfully. And this has come very close to the v1.1.3 from which the issue with jailbreak start has been addressed. And before going to the process, temporarily turn off the passcodes. Give several minutes for the tool to function successfully. After all, you will be able to find Cydia installed on the device with the icon on Home screen. In case if you do not get Cydia after jailbreak, reboot and rerun unc0ver jailbreak. Have you tried Unc0ver Jailbreak iOS 11.0-iOS 11.4 beta 3? What are you going to tell us about your experience? Let us stay signed and get more jailbreak news.